Breakfast with Mickey Mouse or lunch with Cinderella might just be the culinary highlight of your child’s vacation – especially if they know what to expect! Most character dining experiences are themed events that include a buffet or table service meal. At the beginning of the event, the stage will be set and the theme announced. Once you are seated and the food is served, the featured characters will begin making their rounds. They’ll visit each table, take pictures and sign autographs, before moving on to the next. 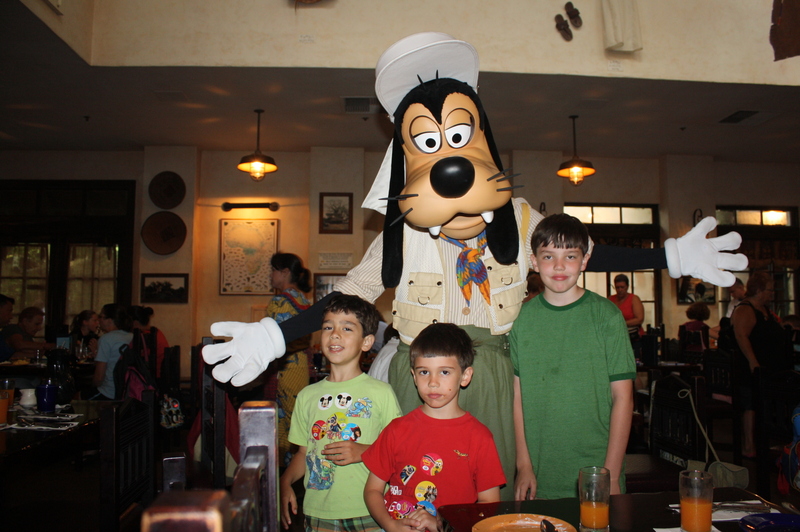 Some character dining experiences also include audience participation where the kids are invited to get up from their tables and dance or play with the characters. You should expect to spend about five minutes with the characters when they visit your table. Your server can give you an idea of when the characters will be in your section, so you can time your trips to the buffet or restroom. A Disney Photopass photographer accompanies the characters, and photo packages are available for sale at the event. The Photopass photographers are also happy to take family pictures with your personal camera as well. Character dining experiences require advanced dining reservations and seats fill up fast. These should be some of the first dining reservations you make when you book your vacation.